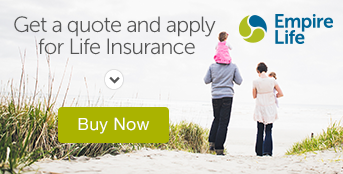 Critical Illness Insurance for you and your family. Your critical illness insurance broker or financial advisor is the best person to help you decide the insurance plan and coverage that is right for you. The Majdoub Group can help you choose the best critical illness insurance option in Ottawa. Policy premiums can be as flexible as you are. Your policy can be designed to cover you to age 65, 75, or to age 100. You may choose the amount of coverage you want, and you can even add a “return of premium” waiver. This waiver allows you to get back as much as 100% of premiums if you do not claim by a predetermined anniversary, making this an affordable option for everyone. Generally, a policy will pay the benefit following 30 days of the diagnosis and survival of a covered illness. Covered illnesses may include (among others), heart attack, stroke, cancer, Alzheimer’s disease, blindness, coma, coronary artery bypass surgery, deafness, kidney failure, loss of limbs, loss of speech, major organ transplant, motor neuron disease, multiple sclerosis, occupational HIV infection, Parkinson’s disease, and severe burns. The covered illnesses will vary with the company and policy. Most critical illness coverage is available to age 65, age 75 or age 100. Policies can be either level in premium or stepped up with the age of the life insured i.e. every 10 years. The contract can either be guaranteed renewable (definitions are guaranteed, yet the premiums may change) or non-cancellable (both premiums and definitions are guaranteed for the life of the contract). Each of the above will dramatically alter the premium, and as such, a policy can be designed to meet any budget. Find out how The Majdoub Group, Ontario can be there for your critical illness insurance needs today. Contact us now.